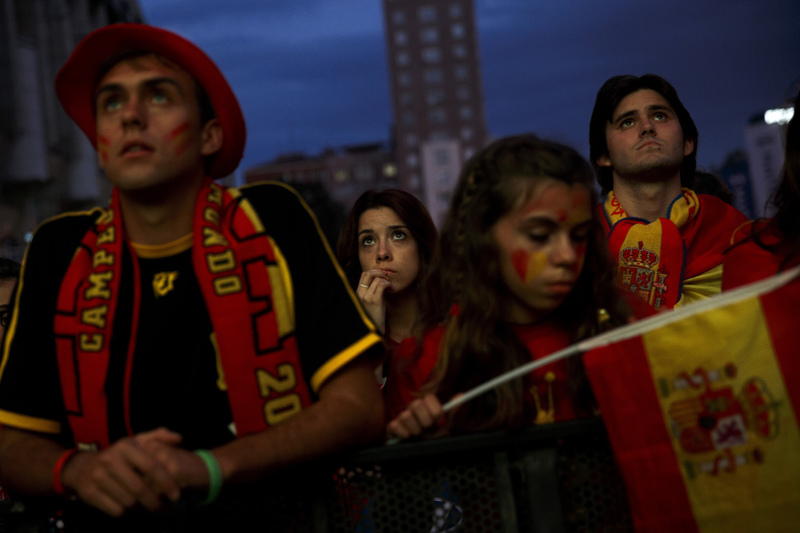 It was the worst loss for Spain in the game's showcase tournament since 1950. SALVADOR, Brazil — The Netherlands thrashed the world champions 5-1 Friday in the World Cup’s first shocker, toying with an aging Spanish team that has dominated global football for the past six years and avenging a loss in the 2010 final. Although Spain could still advance out of the group stage, the game may have signaled the end of the run by a generation of Spanish stars whose quick passing, “tiki-taka” style delighted the world and helped them win the last three major tournaments. Dutch strikers Robin Van Persie and Arjen Robben both scored twice, including Van Persie’s diving header off of an audacious 40-yard pass. The ball looped over hapless Spanish goalkeeper Iker Casillas as Van Persie slid on his stomach on the wet grass before running to the sidelines with his fists clenched to celebrate what is sure to be one of the goals of the tournament. 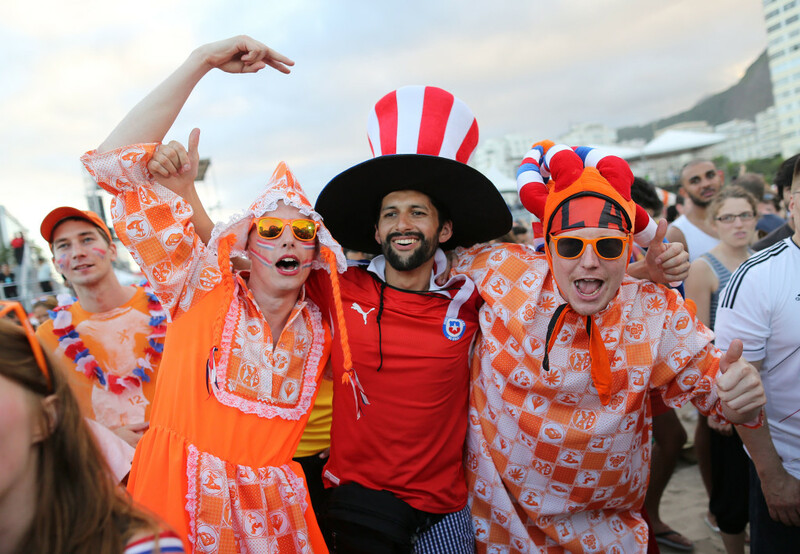 Defender Stefan de Vrij also scored — his first international goal — in a dominating second half that had the orange-clad Dutch fans in Arena Fonte Nova on their feet the whole time. 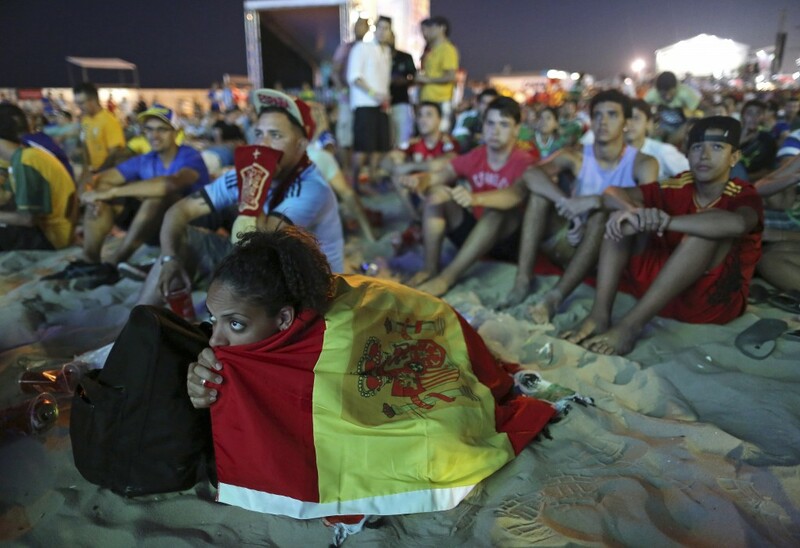 It was the worst loss for Spain in the game’s showcase tournament since a 6-1 defeat to Brazil in 1950. 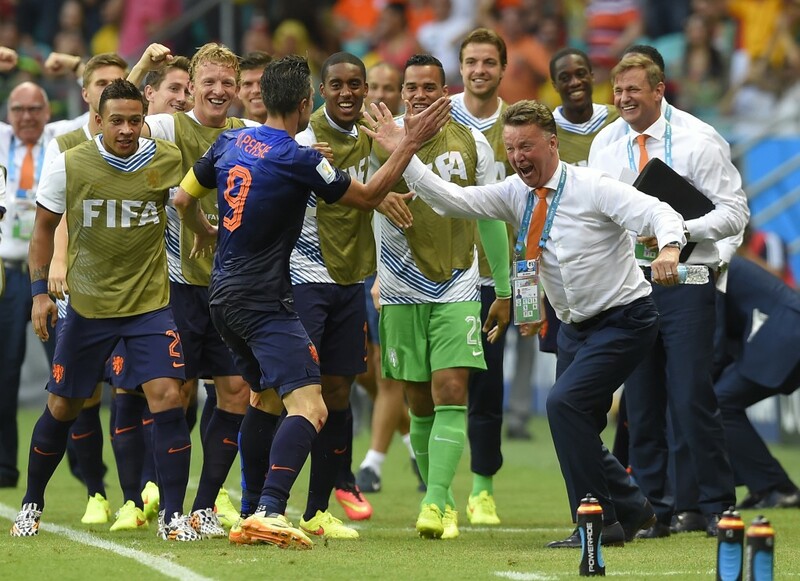 The victory was particularly sweet for Netherlands coach Louis van Gaal, who was criticized for his decision to play five defenders. He insisted the formation had attacking potential as well as nullifying Spain’s fluent passing game. Spain’s ball-control offense usually has other teams frustratingly trying to gain possession. 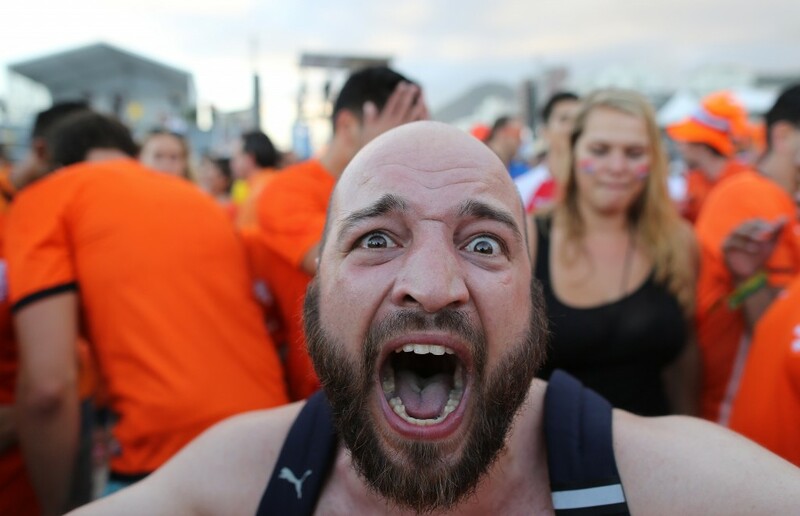 This time, the Dutch fans were roaring “Ole” as their team passed the ball around and Spain chased them. Spain lost its first match in South Africa four years ago on its way to the title, and it could salvage tournament hopes with wins against Chile and Australia. But finishing second in the group, means facing the winner of Brazil’s group in a knockout game. 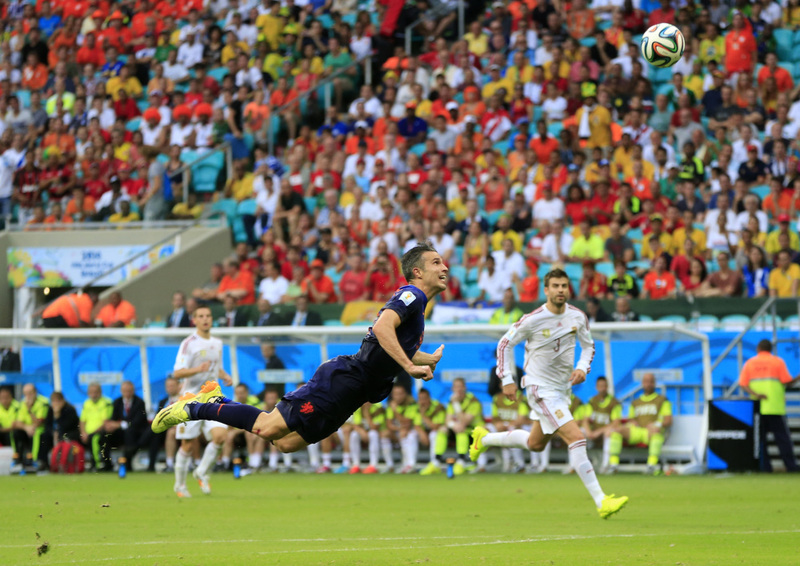 Van Persie credited Van Gaal’s tactics of defending hard and firing long passes to Robben and himself. “We trained that way. 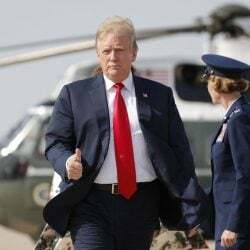 And this is definitely down to him,” the Manchester United striker said of the coach who will take over at his club next season. Van Gaal, in turn, highlighted his forwards’ performances. 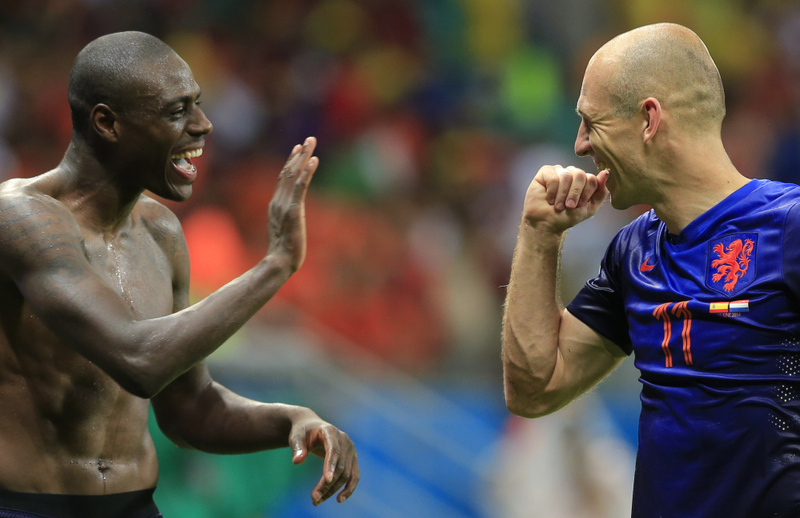 “With strikers like Van Persie, Robben and Sneijder behind them, things like this can happen,” the coach said. It all started so well for Spain, with Xabi Alonso converting a 27th minute penalty. 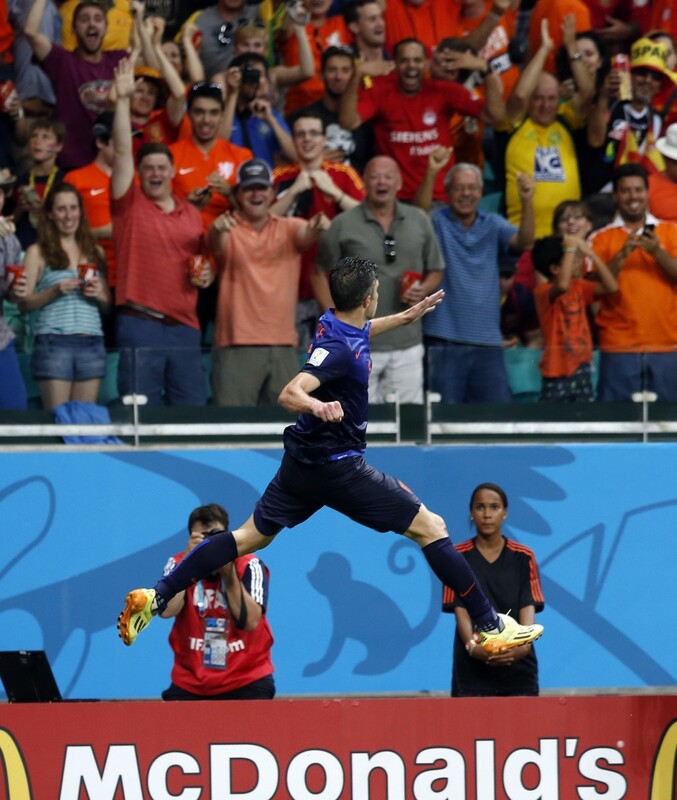 But it went downhill fast after Van Persie tied the game with a header shortly before half time. He connected with a perfectly weighted long pass by Daley Blind, one of a new generation of Dutch defenders flourishing under Van Gaal. Spain, which won the 2010 final thanks to an Andres Iniesta extra-time goal, exerted most of the pressure in the first half of the rematch. But they had no answer once the Dutch went ahead and continually hit them on the break. His double was sweet revenge for Robben, who had a late chance saved by Casillas in the Johannesburg final and has struggled to live it down. It was tough keeping track of the second-half barrage of Dutch goals. Robben scored in the 53rd minute, reaching high to control another long ball from Blind, cutting inside Gerard Pique and firing past Casillas. De Vrij — was called for the first-half penalty — bundled home a Sneijder free kick at the far post 11 minutes later, and Van Persie scored his second in the 72nd in a clinical display of counterattacking football. “This is a very delicate moment for us, and all of us have to find a way to solve it,” Del Bosque said. In addition to the 2010 world title, Spain won the 2008 and 2012 European championships. While Spain now has to regroup for its match against Chile on June 18, the Netherlands has to come back down to earth and then refocus for the next match, against Australia.